Every six months the human-powered outdoor industry players gather in Salt Lake City for a massive convention known as Outdoor Retailer. Manufacturers show off their latest and greatest current and future products, retailers scout the floor for their next big buy, and everyone else (media, non-profits, thought-leaders) networks, shares stories, and feeds off of the buzz that culminates under the rooftop of the Salt Palace. The 2016 Outdoor Retailer Winter Market, held in early January, was no exception. Backcountry ski touring hardware (skis, boots, and bindings) keeps getting lighter for ease of use. Backcountry ski safety continues to drive innovation. Cross-country manufacturers continue to focus on sales opportunities in the Northeast. Snowshoe manufacturers are focused on introducing lightweight, running-capable performance. With the exception of Fjallraven, European-based companies still love bright colors. "Venture Out" brands (brands such as Poler that are focusing on more urban/younger demographic) are creating additional value/differentiation by tying product with mission. "Venture Out" brands continue to influence the designs of legacy companies (for instance, everyone caries a rucksack). Companies that emerged with a distinct specialty, particularly starting with hardware, eventually make the leap into soft goods to capture higher profit margins. The price ceiling for premium gear/apparel seems to have no limits. As you wander through expansive isles of mannequins, props, and logos, it’s easy to get excited about all the flashy items on display. Reality sets in when you step up to examine a display and the pitch starts. Lest you forget, the outdoor industry is big business, and these manufacturers are selling to you. The toughest thing seems to be seeing through the pitch. Most companiesare announcing their newest cutting edge technologies. Truth be told, a lot of these products are so similar that it's easy to confuse various brands. So what stood out in the Winter Market? If you find yourself hiking, climbing, mountaineering, and camping in these cold winter months, have a look at some of these worthwhile gear options. And note that mountain bike manufacturers and resort-focused ski and snowboard brands don't attend Outdoor Retailer, while paddle sport companies only attend the summer show. Mountaineering boots are stiffer and made to handle cold weather climbing conditions with the combo of crampon-ready shelves and grippy toe rubber. Lowa continues to lead the way with lightweight but warm mountaineering boots that are slightly less stiff for the beginner mountaineer. Sticky Vibram Dolent soles help your grip on ice, while the breathable interior Gore-Tex liner keeps your feet dry in the snow. These boots come in at just under 3.9 pounds, which is very respectable given their rigidity, durability, and layers of insulation. Lowa prices are also competitive, coming in below the $400 threshold that separates the intro and elite markets. Ok, so maybe you aren’t summitting Denali this weekend, but you need a solid boot that’ll hold up on a cold hike or snowshoe? Maybe you’re doing some wet winter backpacking for the weekend? Vasque has upped the ante with their 2016 models that include solid and responsive Vibram soles and an array of synthetic and leather uppers that are breathable and will keep your feet dry. Lightweight (3 pounds, 3 ounces) and sturdy enough to help alleviate the effects of backpacking distances and pack weights, the new Vasque lineup is made for the weekend on trail. Photo courtesy of Outdoor Research. Gator technology isn’t going to blow your mind— but you’ll want something that is light, durable, and reliable. Outdoor Research has been a market leader for years, and they continue with a lineup of gators in a range of colors, sizes, and material. These provide extra Cordura fabric that helps prevent snags and punctures from crampons when your footwork gets tricky on the ascent. 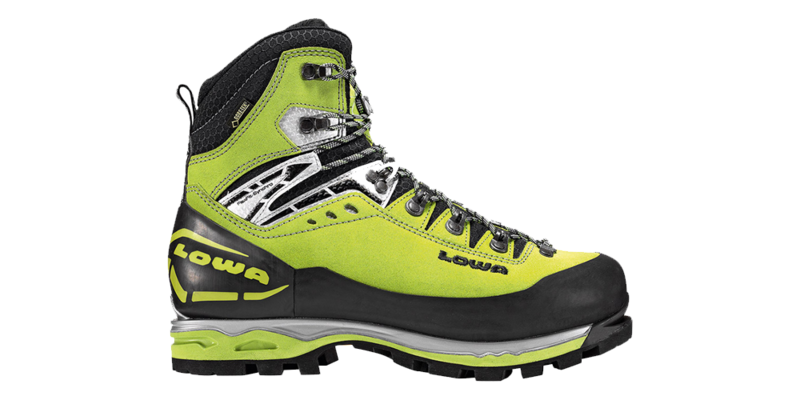 Made to fit your favorite mountaineering boot (such as that Lowa Mountain Expert GTX above! 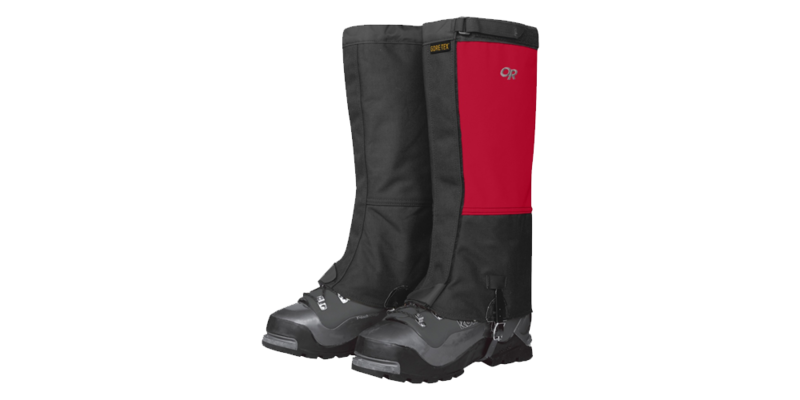 ), these gaiters are made to keep your shins dry, warm, and ready for multi-day adventures. Hands cold? 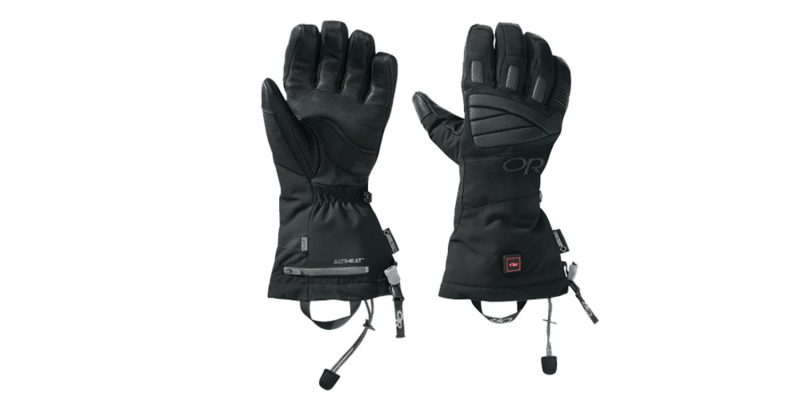 Outdoor Research brings the push-button power heat from their Stormtracker heated gloves and adds it to the new Oberland unit. Newer styling and fabric makes this a versatile glove that goes with you around town and up to the mountains. The price point is high for the most advanced technology… but it’ll be worth it on day three in frigid temperatures. Ice axes and tools continue move toward lightweight and portable options, and Grivel continues the trend with full carbon ice tools to reduce your pack's weight. Look for the hot forged options that cut through the snow and ice and offer the best self arrest results. Grivel offers options in chromoly steel and carbon steel, and a full range of lightweight to super-solid models. Beginners, grab an option with a shovel to help build your own steps in a pinch. Osprey packs a lot into their winter lineup, from the Kode ski/snowboard bag to the Variant series for mountaineering and ice climbing. With years of experience building great packs, the focus is on simplicity and options: no gimmicks here. The Variant series has options, with detachable top pouch, removable suspension panel, and perfect exterior clips and straps in just the the places you need them. This do-it-all bag will carry your skis, conveniently shield your ice tools behind the FlapJacket closure system, and help alleviate the burden with a savvy vertical layout and padded hipbelt. When packing for tougher trips, the Variant will help alleviate the burden on your shoulders and hips. MSR snowshoes look the part. 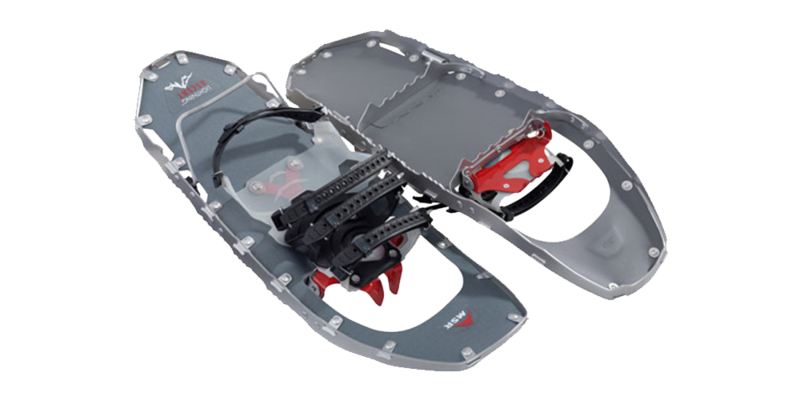 Grippy edges on a lightweight aluminum frame help build the simple, yet versatile snowshoe. Depending on your model of choice, the PosiLock AT straps are now joined by a locking click-strap binding that compress down easily when attaching the snowshoes to your pack. MSR’s newest feature allows for varied adjustment of the snowshoe alignment for pronation or supination. Add in the Ergo Televator heal bar for select models, and MSR has built a complete mountain-ready setup. Full disclosure: Revo uses Meru filmmaker Jimmy Chin as a high-profile spokesperson…and we totally took the bait. We stopped by the Revo booth mostly to learn when our 2015 idol might swing by, but also took a look at the new lineup of Revo goggles. Needless to say, we were more impressed than we thought we would be. Revo appears to be rebranding themselves, and they are focused more heavily on making products for their outdoor market. We used to love brands offering interchangeable lenses until we realized how much we hated carrying extra lenses. Revo tackles this with their Light Management System (LMS), a photochromatic lens that adjusts within seconds as lighting conditions change. Grab your favorite lens color and enjoy as your goggles automatically adjust to let in between 68 and 88 percent of visible light depending on the situation at hand. Our favorite visibility gear was from Nathan Sports. They have a stellar collection of simple and attractive LED products for multiple body points that will keep you safe on those pre-DST morning runs. In particular, their heel clip known as "LightSpur," which wraps around the back of your shoe, is a pretty sharp find. Some prefer to not wear a hat, but for those who do, Headsweats seems to have it all covered. They've got a proprietary moisture-wicking fabric with a sweatband liner, and they come in every style imaginable. Matt picked up one for himself at the show, and after a few rainy morning runs last week, he's sold. Honestly, there were more types of socks there than any sane person could hope to encounter in their lifetime, but Drymax stood out to us as a top competitor for running socks. Their slogan is "No Sock Proven To Keep Feet Drier," and they appear to be the chosen sock of ultra-marathoners. The high tech socks use a special two-layer system; the inner layer wicks moisture to the "hydro-phobic" outer layer, allowing sweat to escape without letting moisture in from the outside. No matter how much we attempt to minimize our dependence on tech in the outdoors (and weight in our packs) many devices have become mandatory on our packing lists. GPS units, digital cameras, flashlights and headlamps are all commonplace. We depend on these devices while on the trail, and they depend on a healthy supply of power to operate. Photos courtesy of Gregory and Goal Zero. This high-rated pack adds a sleeve to hold the Goal Zero Nomad 7 Plus solar panels on the lid of the pack so that you can charge your devices while on the go. The solar panel itself weighs just 0.8 pounds, has a solar capacity of 7W, is weather resistant, and provides a USB charging port. The approximate cost of the pack including the integrated solar panel will be at least $380. Photo courtesy of Goal Zero. This portable battery pack can be charged directly by solar panel or via USB power supply. The Venture Recharger holds enough power to recharge your headlamp up to 10 times, your camera up to five times, or your phone up to three tims, all while weighing in at just 8.8oz. This recharger retails for $99.99. At first glance, the Fogo looks like a heavy-duty flashlight, but that is just the beginning. In addition to putting off 1,000 lumens of light, the Fogo also is a fully app-enabled GPS, walkie-talkie, and backup battery supply. The flashlight automatically adjusts the light intensity to give you a brighter beam when you are looking off into the distance and preserve battery life when focused on a shorter distance. The GPS will show you a simple map on the internal display. If you get separated from your friends, you can use the walkie-talkie to communicate with them. Or use the combination GPS and flashlight to point the way back to your friend. Getting warmer? The flashlight will show a steady beam. Getting colder? The light will begin to flash until you point back in the right direction. The Fogo is scheduled for release spring 2016 and is available for pre-order now at www.Fogo.io. Once again backcounty skiing was a major focus of the Winter 2016 OR tradeshow, reflecting the continued trend in consumer interest in the sport. But it wasn’t all about the products; Outdoor Retailer provided a venue for backcountry education as well, from fun avalanche training activities at Demo Day to education forums on the tradeshow floor. On the product side, manufactures are continuing to build and refine backcountry skis, splitboards, boots, and bindings as they work toward the balance of safer, lighter-weight, and higher performance options while trying to keep the cost in check. The thinking is lighter-weight, higher performing products enable backcountry enthusiasts to travel quicker, which in theory helps them move out of potentially dangerous zones that much faster. Similarly, avalanche safety products such as air bags are becoming ubiquitous amongst brands in the space, with more companies releasing their own technology or partnering with more established players to bring new products to market.